I am probably going to get alot of flak for this but I have to say this anyway. I have never liked brownies. Facing trays of chocolatey brownies on many occassions, I have never had the impulse to help myself to them. I am trying to rationalise my reaction, struggling to find the right words to express my lack of zest or excitement for them. 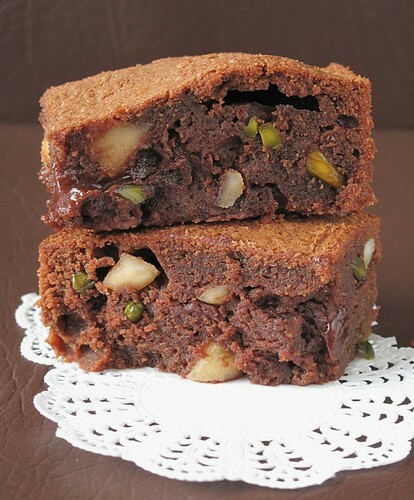 Brownies, to me are coarse, rich but bland - that's the best I can do until I came upon Dorie Greenspan's opening to Pierre Hermes Moist and Nutty Brownies Recipe, I found the exact words that depict my feelings toward this American all-time favourite pastry : insipd, indifferent. It lacks the sublime quality I fall for in French or Japanese pastries. I am not good at handling an overload of the richly rich... my appetite would go on strike and shut down completely. For example, I do have a weakness for chocolates but I would take them in small doses. 2 little truffles made from the best quality chocolate will keep me sailing in bliss for days (well, maybe 1 day) hence my box of Valrohna chocolate squares can last me for weeks. So why have I chosen to bake brownies then? 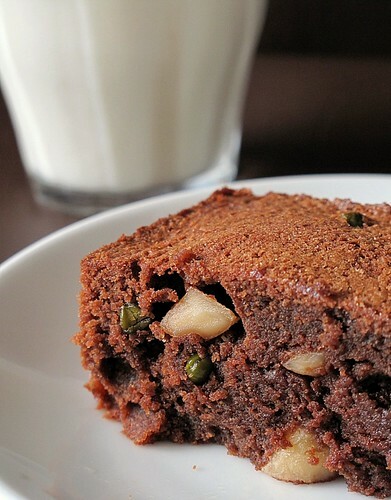 ... because I have a dinner gathering coming up and my friends seem to like brownies.... and because Dorie Greespan had written that this recipe is a prime example of Brownies of the sublime variety. 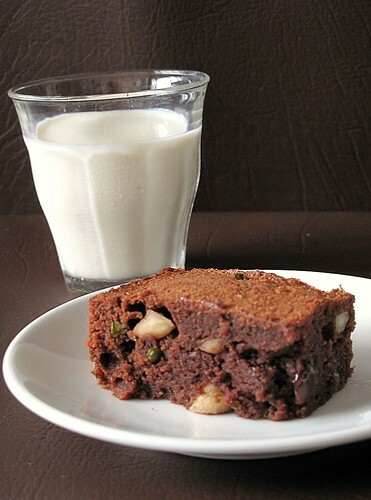 Made with good quality bitter sweet chocolate, an abundance of butter and generously studded with nuts - they are baked to just set at the surface;" the center of the brownie remains moist - very moist." I got mesmerised by her description and decided to give it a try. It was easy enough for I have loads of good quality chocolate in my fridge, blocks of French butter in my freezer and some macadamia nuts from a previous bake. These turned out to be short so I had to top up with some pistachio nuts in my chiller. I did a small trial batch which yielded about 9 squares. I am not quite happy wth the way they look. I have a feeling I might have overaerated when I creamed the butter for it did not turn out as compact as the photo in the cook book. And even though I had baked as instructed at 180C x 20mins, the center still seems a little gooey - unsure if this is actually the Very Moist sublime quality as depicted by Dorie Greenspan. Verdict? ... certainly moist and delightful. Sumblime? Not really... at least I have not achieved it yet. 145g Pecans or walnuts, lightly toasted and very coarsely chopped. 1. Preheat oven to 180C. Prepare a 24x 30cm baking tray. Line bottom with a piece of parchment paper, butter the paper and dust the inside of the pan with flour. 2. Melt chocolate in microwave. Cool down to 45C before use. 3. In a bowl, cream butter with rubber spatula. Consistency of butter should be smooth and creamy but not airy. Stir in chocolate, egg (lightly beaten), sugar followed by flour and nuts. 4. Pour batter into baking tray and smoothen surface with spatula. 5. Bake for 19- 22mins; at this point the top of the cake will be dry but a knife inserted in the center will come out wet. Transfer the pan to a cooling rack and allow brownies to cool. Beetroot is seldom featured in Asian cooking...at least I don't remember seeing this in any Chinese dishes. I do vaguely remember trying to use this in a salad once but, I didn't quite like the way it bled like an open wound making the dish look like someone just had a bloody fight over it... 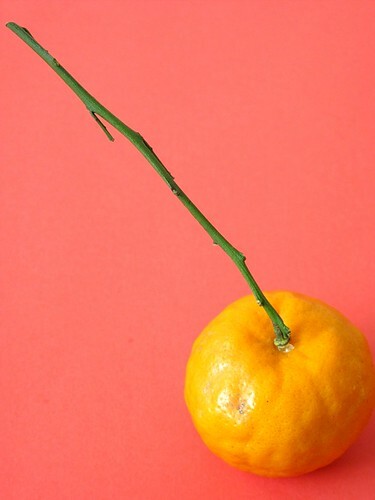 This is also a vegetable that is not quite readily available at our local supermarkets. The benefits of the beetroot has been gloriously lauded. It is definitely a detox superhero. Reputed to be one of the best liver-cleansing vegetables, it also helps to nourish the nervous system and brain with trace metals and folate. Betacyanin, the pigment responsible for the deep red colour of the vegetable is also a powerful antioxidant. The more I read about the benefits of beetroot, the more I feel I should find some way to incoporate this into my diet. The easiest option is to turn to my juicer. 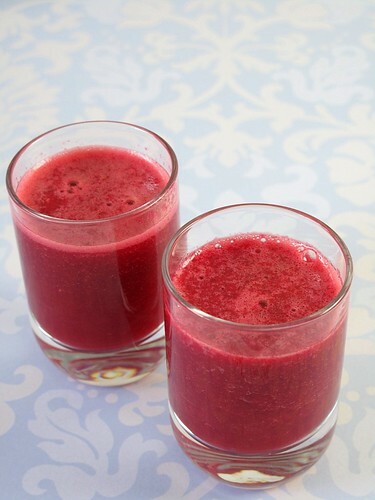 There are no shortage of recipes for beetroot juice on the internet. 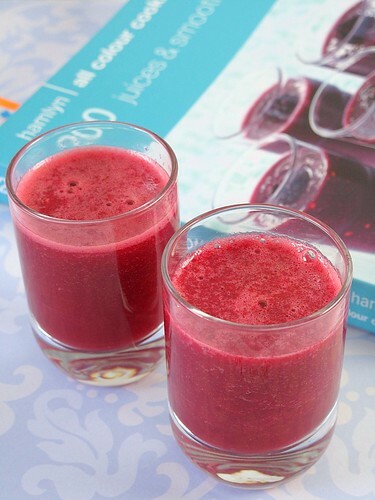 The version I have picked is from my little juice book which consists of 2 other power food , the carrot and orange. The good thing about a beetroot juice is, the natural beet sugar actually makes a pleasantly tasty drink - no dread about gulping down liquid grass. And oh,... one more tip for friends in Singapore- you can find beetroot in Carefour , Cold Storage but the cheapest beetroot can be found..... at Little India! So eat beetroot and be healthy! 1. 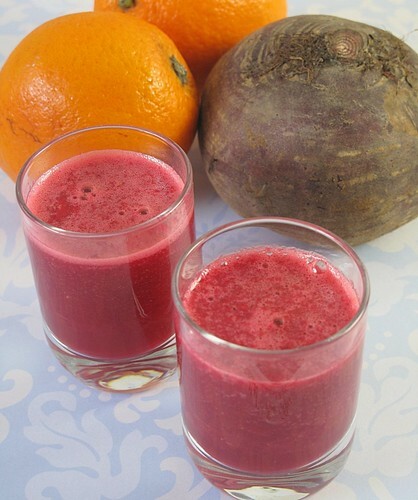 Juice the carrot, beetroot and orange to get juice. 2. 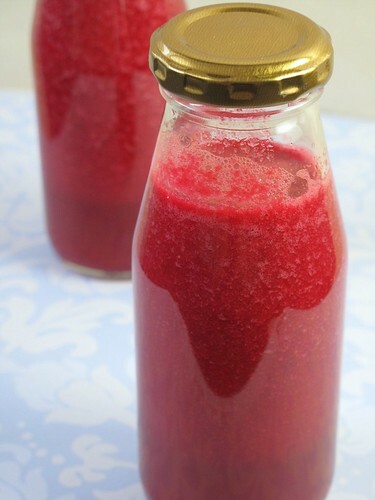 If using strawberries, transfer juice from (1) into processor with strawberries and blend until smooth. There is a conflict of interest, trying to go on a diet and clearing out the refrigerator.... It is sinful to waste but the digits on the weighing scale has to, has to go down! Keeping the carbs at bay, a simple option is to make a soup that is easy on the digestive system. Trying my best to finish off the last bit of crab meat, I decided to make some fish maw soup. 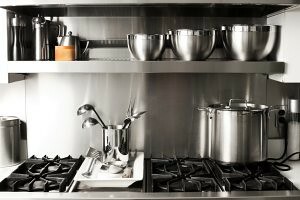 I had once joked with a friend - if there is a war or a major disaster that confines me to my apartment, I probably can feed off my larder for one whole month! I probably can start a blog project to 'cook my way through my larder' and would probably be able to come up with an interesting mix of western, asian dishes with chocolates and pastries to boot! 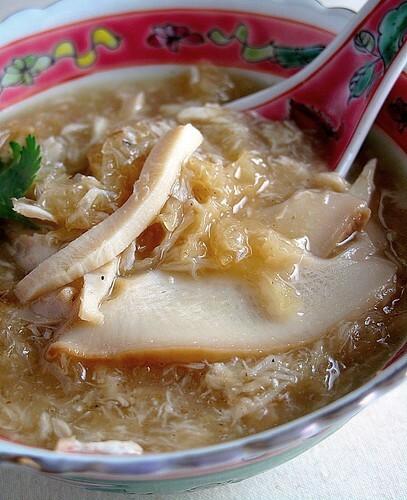 I don't think I will ever become a vegetarian but fish maw soup, is a more responsible alternative to shark's fin soup. I have cut down my intake of shark's fins and have made it a point to replace the shark's fin soup with other alternatives when I plan for business dinners at restuarants. Fish maw, for those who are not familiar, is actually the air bladder in a fish. This internal organ helps the fish to control its bouyancy in water. In Asia, we can buy this easily in supermarkets and dry food provision stores. One of the most convenient form to use is the dried, deep fried version. I used to have problem differentiating these with deep fried pork skin. They look very similar after deep fried but taste very different. 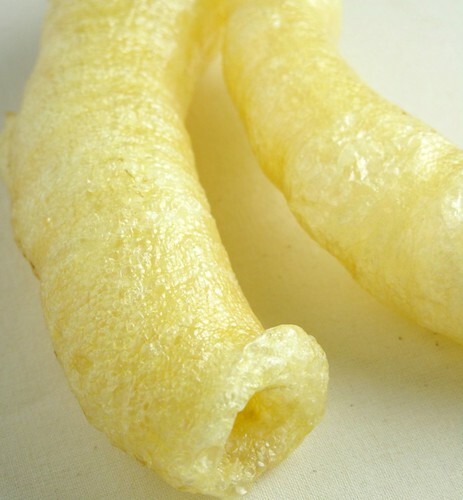 The fish maw has a mild soft crunch and when cooked in soup or gravy, soaks up the flavour of the stock like a sponge. Deep fried pork skin, when cooked in soup, tends to be more rubbery and I can always still detect a porky smell. The deep fried fish maw has to be soaked to soften before cooking and I would recommend to run it through some hot water to remove excess oil and the fishy smell. 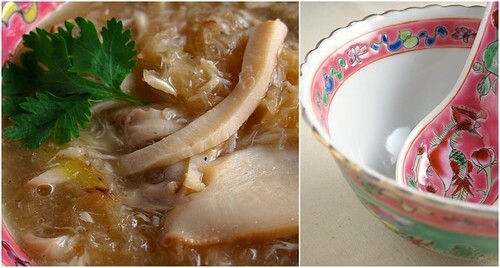 A very simple soup that can be prepared in a jiffy and in my opinion, has more texture and crunch than the shark's fin. Oh, I forgot I also happen to have some cooked abalone from CNY which I cut into fine shreds for a more luxurious and tasty treat. 1. Heat oil in a hot wok. Stir fry garlic and ginger quickly until fragrant. Add crab meat and fish maw. 2. Add 1 tbsp of Chinese Rice Wine and stir fry crab meat and fish maw for a minute. 3. Add chicken stock and bring to boil. 4. Lower heat to simmer for 2 minutes. Remove the slices of ginger and garlic. Season with salt and pepper. 5. Mix one 1/2 tbsp of starch flour with 1tbsp of water. Add this a little at a time to the boiling soup and check for thickness. Do not over starch the soup. I am cooking my way through my refrigerator... Left with a copious amount of white rice, the easiest way is to fry them and for this New Year, in an effort to eat more healthy, we have decided to cook basmati rice instead of Thai Fragrant Rice. Basmati Rice, for those who are unfamiliar, is a special long grained rice popularly eaten in India.The best Basmati rice is grown in India and Pakistan. When cooked, these are drier, less starchy than normal long grained rice, yielding a free flowing consistency. Some interesting facts about Basmati : a cup of cooked Basmati Rice has 170 calories while a cup of long grained rice carries 205 calories. Ayurveda, the traditional Indian healing approach recommends the Basmati rice. "That is because basmati rice is easy on the digestive system. Also, it is saatvic or pure, and balances the physiology. Basmati rice builds body tissue and is very high on praana or vital life energy,"
In addition to its holistic properties, Basmati Rice, in my opinion is perfect for Fried Rice because it is drier and hence looser. It doesn't get soggy or lumpy - every rice grain is beautifully separated. I have some crab meat in my fridge and hence I decided to pair it with some shredded dry scallops for sweetness and fragrance. The end result?... I meant to pack this for lunch for work tomorrow but I ended up finishing everything , Sigh... there goes my watchful diet. Garlic 2 small cloves bruised with back of knife. 1. Place dried scallops in a small bowl, with 2 sprigs of spring onions and 2 slices of ginger. Add a dash of Chinese Rice wine and steam over boiling water for 10 mins until softened. Cool down and shred scallops. 2. I did the same with the crab meat just to remove the fishy smell a little. 3. In a hot wok, add oil. Add bruised garlics to infuse the wok with the fragrance of the garlic. Add shredded scallops, crab meat. Fry briskly over hot fire. Add Basmati Rice. 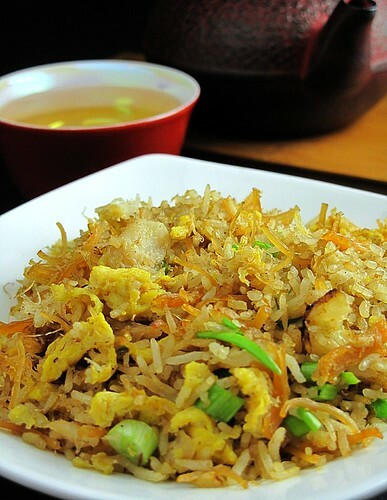 Continue frying to mix flavours of the scallop and crab meat with the rice. 4. Season with soya sauce, lots of white pepper while frying. 5. Pushing the fried rice to one side, add a little oil and add beaten egg. 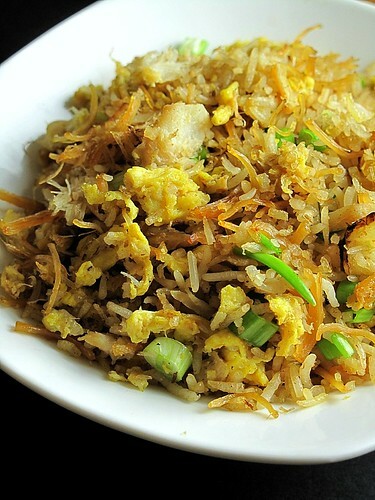 When egg begins to set a little, mix the fried rice with the egg to coat rice with egg. Continue frying until egg is cooked. 6. Add diced spring onions and turn off heat. Now that the 3 day holidays is over, it's back to work again, though I believe there are a few lucky ones who are either taking leave or are still waiting for that auspicious date to start the first working day of the New Year. While there are some people who are starving in some remote corner of the globe, those many of us who are lucky enough to celebrate Chinese New Year, all had too much to eat. So much that our fridge is still chock-a-block with left overs from the festive over indulgence - a twisted superstitious view literally mandates that there must be left overs - the one who does not have left overs during the New Year may end up suffering the fate of not having enough to eat, to spend , to survive - so God forbid that we should clean our plates at the dinner table! Albeit all my festive meals were had at my family's place and restuarants, my own fridge is still packed - with left overs... from my mother's fridge! Sigh! I only hope I can recycle them fast enough before they turn bad. 3. in this case, the stomach still feels heavy from 4 consecutive days of festive binging. There are a few school of thoughts when it comes to achieving the glue like consistency of the Cantonese congee. I have once seen a cooking program in Hong Kong where the cook/presenter demonstrated boiling the rice over huge quantity of water over very strong fire. What happens is the rice will split. 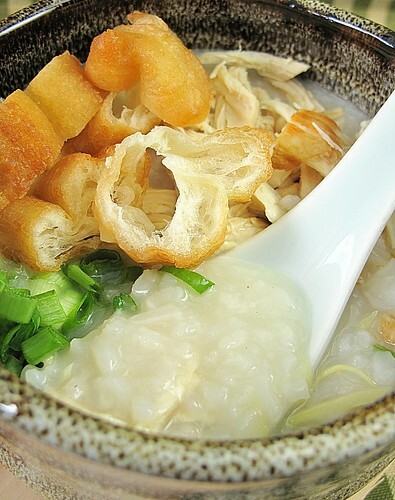 By controlling the amount of water/liquid, the congee can become viscous in consistency. However, this method of cooking will not impart the velvety creaminess to the congee. 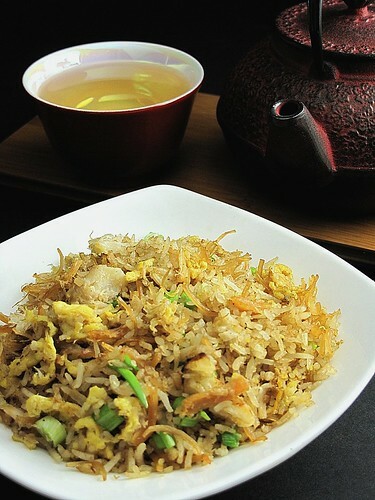 To achieve that, typically, a combination of Jasmine rice (Thai fragrant rice) and glutinous rice is used. I came across a third method in one of the Chinese cookbooks on my shelf. 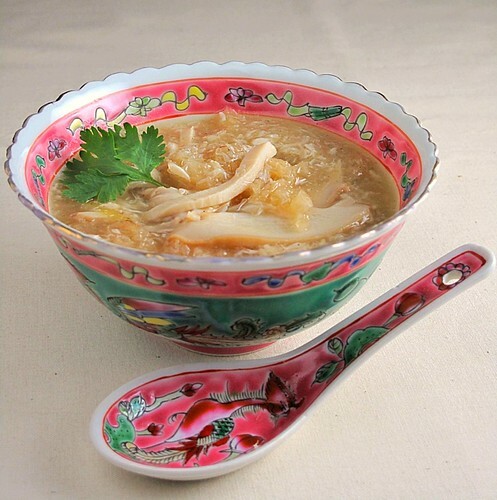 Written by the well published Mrs Leong Yi Soo, the book 温馨佳肴 (Singapore Well Loved Recipes) contains a recipe for Gai Chok that calls for the addition of glutinous rice powder to achieve the creamy, glue like consistency. It is this recipe that I tried today. The texture,soft and smooth, slides down the throat effortlessly to gently coddle the hungry stomach into rested satisfaction. Glutinous Rice Flour 1 tbsp mixed with 100ml water and mixed well. seasoned with salt, pepper and 2 slices of ginger. 1. Chicken - shred cooked chicken meat and season with a little soya sauce and sesame oil. 2. Wash Rice and coat with a few drops of sesame oil. 3. In a heavy saucepan, add water, rice, pinch of salt, 2 slices of young ginger. Bring the water to boil. 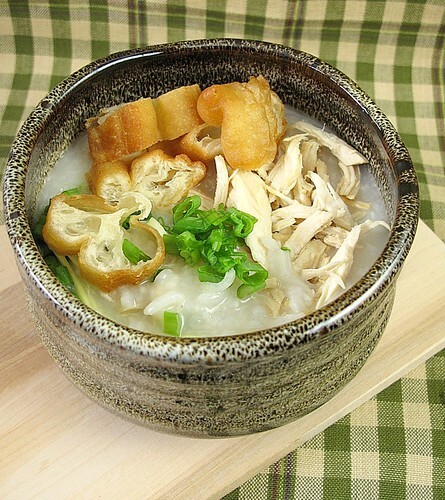 Once water starts to boil, reduce heat and boil the congee gently until rice starts to split and turns viscous. 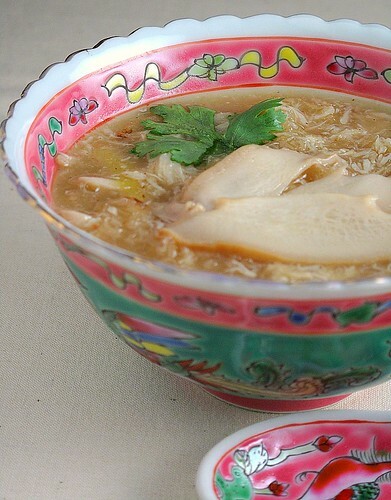 Add hot water or chicken stock if the mixture becomes to thick before the rice is cooked. Stir the congee at intervals to prevent the rice from sticking to the saucepan. 4. Once rice has split and turns viscous, add in the glutinous rice flour/ water mixture and stir continuously until the congee becomes a smooth creamy consistency. Add more hot water if the congee becomes too thick. 5. Ladle into serving bowl. 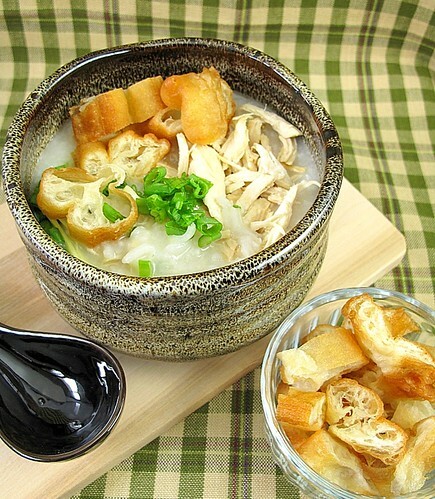 Garnish with shredded chicken, shredded ginger, You Tiao and diced spring onion. I have to work off some of those extra calories and purge the rest out fast! After taking my bike out for a 20km spin, I feel decidedly revitalised. I may be imagining it, but I thought my tummy felt a little less bloated after the workout. 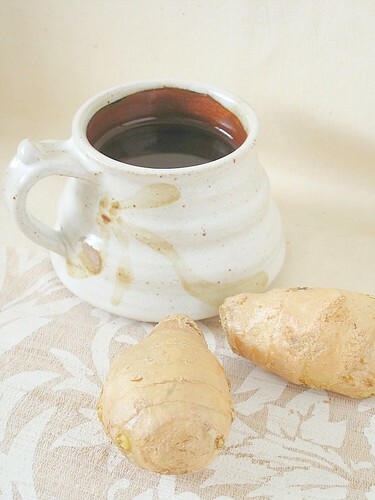 One of my favourite ingredients for relieving digestive problems and bloatedness is the trusted ginger. 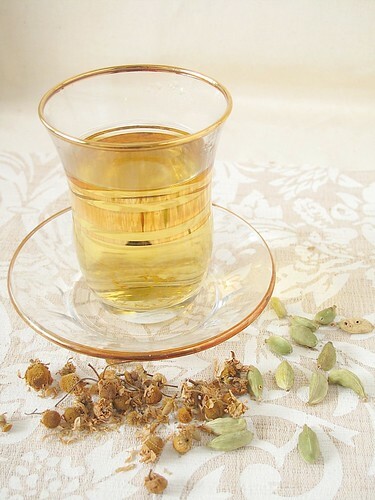 As I searched for alternative remedies to aid digestion, I also found a Cardamom and Chamomile Tea which not only helps in digestion but will serve well as a nightcap for a restful sleep as well. 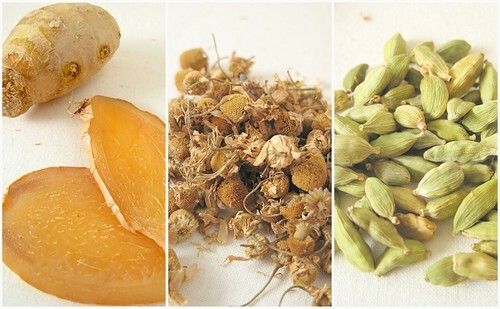 Most of us will know the calming effect of chamomile tea and those who frequent Indian restuarants will be familiar with the way they would serve cardamom at the and of a meal to freshen breath and aid digestion. 2 tbsp loose leafed Chamomile Tea. 1. Combine ingredients in a small saucepan and bring to boil. 2. Reduce heat, simmer, uncovered for 5 mins. Cool 5 mins, strain. 1. Combine ingredients in medium saucepan, bring to a boil. 2. Reduce heat; simmer, uncovered about 15mins or until liquid has reduced by a third. Happy Chinese New Year and may the year of Tiger bring lots of good wealth, good health, good food to one and all! A quick one before I scuttle off for New Year Lunch. 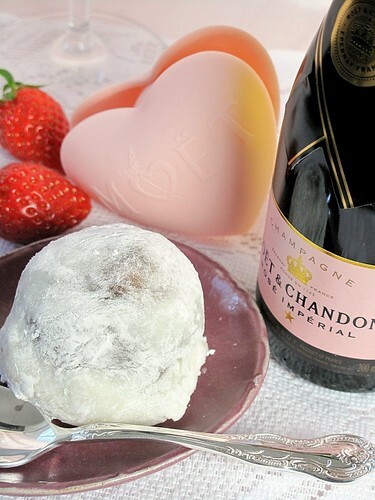 I choose to make a traditional steamed rice cake today. 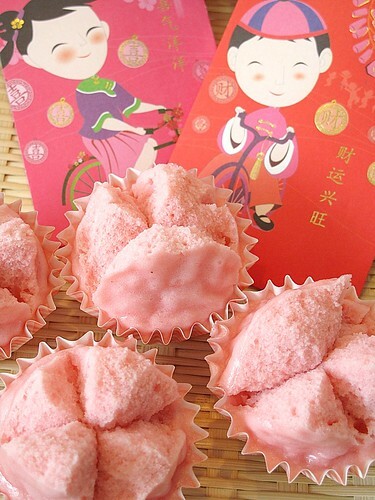 Known as Huat Kueh (发糕), these dense little cake are more symbolic than tasty. The Chinese pronounciation of the name of this cake is akin to the meaning of to rise higher and prosper. Hence, it is a firm favourite during celebratory religious rituals. I do remember hearing stories from my aunties and older relatives relating the superstition connected to the making of this cake. Kids were always told to shut up when the cake is being steamed, for fear that if something offensive is said, the kitchen god/ cake fairy may become angry and the cake will not rise. A flopped Huat Kuey, to the superstitious, signifies a full year of bad luck. 1. Boil sugar in water until dissolved. Set aside to cool. 2. Sift cake flour, rice flour and baking powder together. Combine with sugar syrup. Mix well to combine. 4. Portion into paper cups. Steam over high heat for 20mins. We are counting down to Valentine's Day and Chinese New Year, both of which fall on the same day this year and for the February month of Romance, Singapore Airlines has, aptly, compiled a list of Romantic Classics for their in-flight movie screening. One which I have watched twice within this month, is the old time classic, An Affair To Remember - starring the impossibly suave Gary Grant and the very likeable Deborah Kerr. For those who needs a reminder, this is the movie that was referenced in Sleepless In Seattle - this is the original movie that pitched the promise of meeting on the Empire State Building rooftop. Steve(Bogart): What did you do that for? Slim(Bacall): I've been wondering if I'd like it. Slim: I don't know yet. Slim: It's even better when you help. These are the type of lines that are waiting to go terribly wrong but when you hear it in Bacall's husky (non-stereo enchanced) voice and see the moody, cool expression on Bogart's face - it becomes eternally memorable! As I walked by the Duty Free Shop at Changi Airport, the Moet Chandon's Pink Champagne Valentine promotion pack caught my eyes and immediately brought back this scene from An Affair To Remember - where Gary Grant's and Deborah Kerr's character had both unwittingly ordered pink Champagne at the bar counter.When Deborah Kerr dabbed the champagne behind her ear lobes, I was... bewitched. 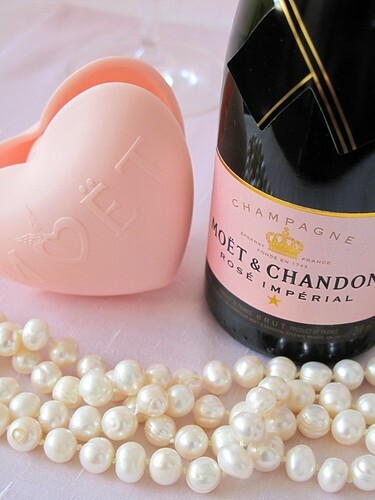 Don't worry, I am not going to go around dabbing champagne on my pulse points - I know I won't be able to pull it off. Determined to find a sweet that would pair with the pink champagne, the first ingredient that came to my mind was strawberry. 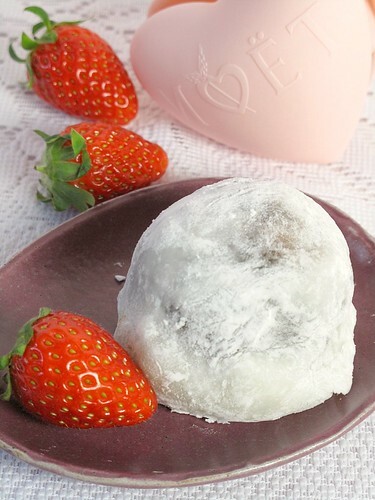 Once again, I turned to Keiko's Okashi for the Strawberry Mochi recipe. 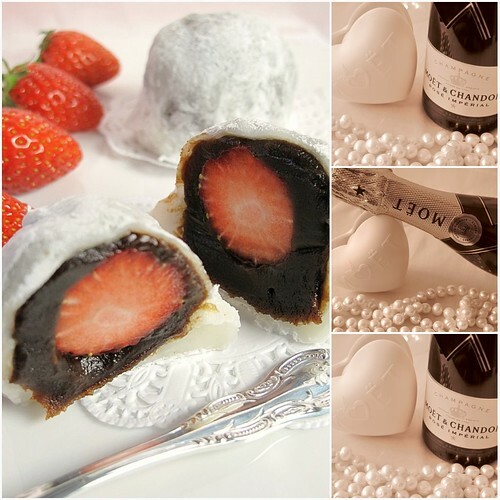 The original recipe called for red bean paste but I decided to put the Prune Paste (枣泥) that I bought in Taiwan to good use and I thought the champagne should pair better with a tangy fruit paste instead of a bean paste. My first time making a Mochi, I messed up my kitchen quite a bit experimenting with different cooking time for the glutinous rice flour. But all in all, it is quite an easy recipe to follow and I am really glad the Prune Paste is not overly sweet - in fact it was quite subtle allowing the strawberry's sweetness take center stage. For those who are keen to try something different, I would strongly recommend this. Small strawberries, 4 washed and hulled. 1. Combine glutinous rice flour and water in a bowl. Mix well. Microwave at 600W for 1 min. Stir the mixture again. Microwave again for 1 min. 2. Cool down dough. Coat dough with potato starch, then flatten using hands. Divide into 4 even pieces. 3. Place 40g of Prune Paste on a cling wrap film. Place 1 strawberry in the middle. Roll the paste to cover the strawberry. Chill the filling for a few minutes. 4. Place each filling ball in the middle of each piece of dough. Cover the Prune Paste dough , gently using your fingers, stretch the dough over the Prune paste balls. 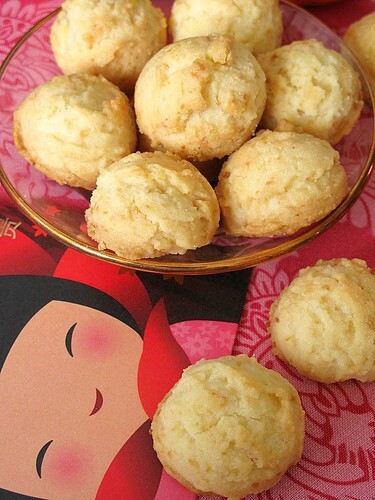 Coat rice ball with potato starch and serve immediately. 1. 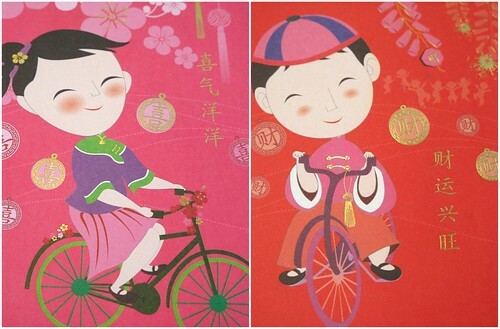 Markets are so commercialised now,they will resume business on the 2nd or 3rd day after Chinese New Year. In any case, the main supermarkets are all staying opened. In the past, shops and stalls would really stay closed for almost a week. 2. 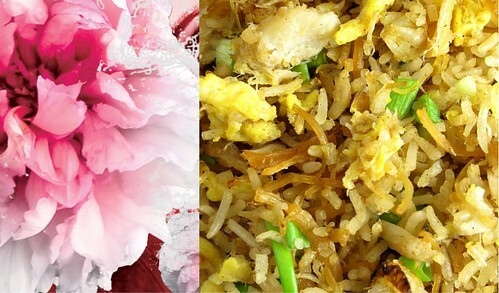 As life becomes affluent, Chinese New Year is no longer the rare occassion where we feast. If anything else, we are overfed already, the focus should be placed on quality not quantity. 3. We are very certain than half of those food frozen in the freezer will be forgotten and end up in the rubbish chute. Sigh. I think most of us would have the same issues with our mothers but at times, as I look at my own fridge and freezer, I fear, real heart-gripping fear, that I may be just as guilty of the faults I have been picking in my own mother. As a result of which, instead of going out to buy more ingredients for e.g. that particular interesting pineapple tart recipe or that peanut cookie, I have decided to make do with what I already have in my fridge. Ramaging through my freezer, I have uncovered some 6 blocks of French butter, 3 tubs of fruit purees and a few small tubs of lemon peel. 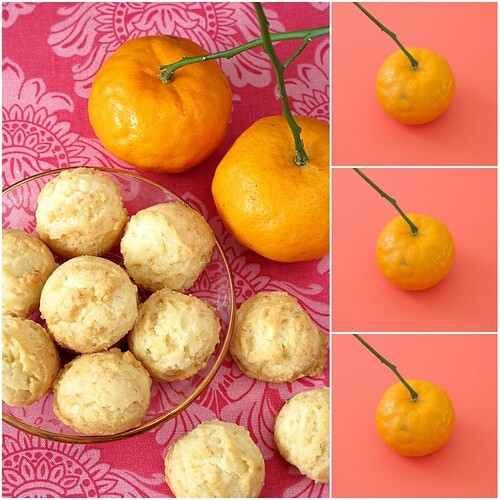 Hence, instead of the usual traditional CNY treats, I decided to make a Lemony variation of the Almond cookie using an Almod Snow Ball cookie recipe from yet again Keiko Ishida's Okashi. Made with the lemon peel and a pure lemon oil (also sitting in my fridge) the end result is a tangy and rather refreshing cookie - a rather nice balance, I feel to the butter rich cookie. 1. Using a cake mixer fitted with paddle mixer, cream butter with icing sugar, salt, vanilla extract and lemon oil. 2. Add sifted flour,corn flour and ground almond to the creamed butter and blend well at slow speed. 3. Add candied lemon peel. 4. Chill batter in chiller for 20mins and preheat oven to 160C. 5. 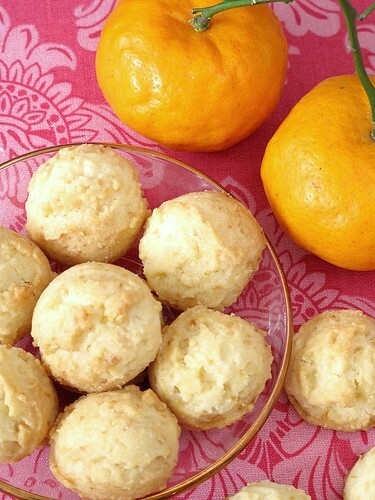 Using an ice cream scoop, scoop out batter into balls. 6. Bake for 20mins at 160C. Remove from oven and cool down. 7. 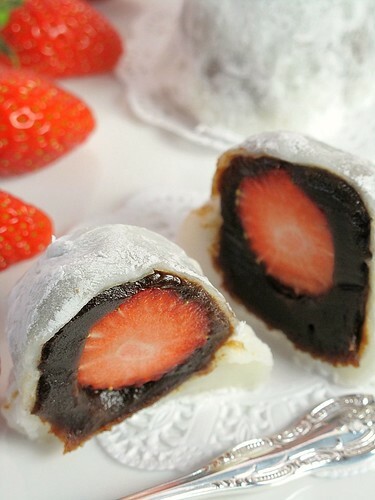 For those who enjoy a sweeter finish, these can be roll coated with powder sugar. Black is chic, black is classic and black is super elegant. No respectable girl, fashionista or prude, would be caught without a trusted LBD (little black dress) in her closet. Such is the universal appeal of this colour that in recent years, the colour has started creeping into pastries and cakes. Lauderee has a pitch black macaron flavoured with licorice. I am still regretting not trying Bakerzin's midnight black mooncake because I was traveling. 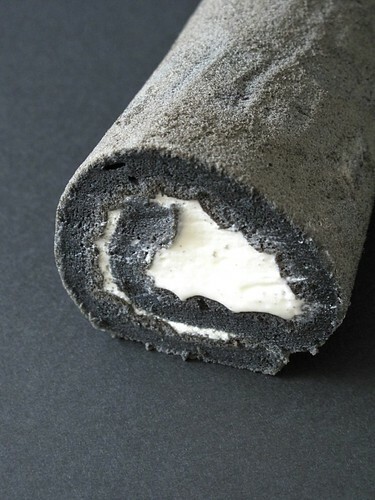 The most embraced jet black pastry has to be the Japanese Bamboo Charcoal Swiss Roll. 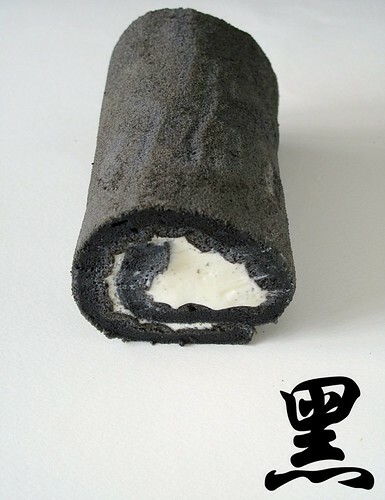 I have been fixated about baking something black but have not been able to get my hands on Edible Bamboo Charcaol. I have combed high end super markets in Hong Kong , Taiwan and health food stores for bamboo charcaol but have not been able to find any. It was during my most recent trip to KaoHsiong, Taiwan this week that I chanced upon a baking ingredients wholesaler. My luck was probably running high that day, for I managed to grab the one last bottle of Bamboo Charcoal on the shelf. Bamboo charcoal, for those who are curious, is actually made by burining bamboo at very high temperature.Burning bamboo at 800C carbonises the bamboo which results in a highly porous structure. The high porosity of bamboo charcoal allows it to filter and absorb impurities effectively. Hence, one of the most prevalent use of bamboo charcoal is in the purfication of drinking water. In addition, various medicinal benefits of bamboo charcaol have also been identified. I am, however, just eager to disperse these precious powder into my next sweet. The option that is most accessible to me is the swiss roll. I have not made swiss roll for quite a while and I have to confess that I felt a little nervous making this. I usually watch nervously while the cake is baking in the oven - willing it not to rise too much. Then, as it cools down, I would check in every few minutes nervously, afraid that it will collapse to an emaciated mat. Then, as I roll, I worry that the roll will turn out wrong. This did not turn out as beautiful as I would like it to be but it will have to do for now for I still have tons of report to write....consolation - I still have enough charcoal powder to make truck loads of swiss roll! 1. Line a 27cm x 27cm square pan with parchment paper. Preheat oven to 200C. 2. Chiffon Sponge : Whip Egg Yolk with 20g Sugar until a figure 8 can be 'ribboned' out without fading quickly into the mixture. Add Vanilla extract and mix well. 3. 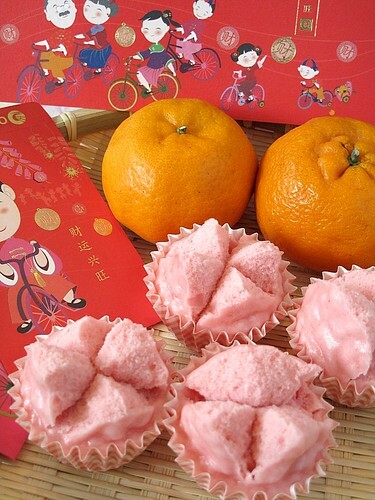 Chiffon Sponge : Pour Egg Yolk mixture into egg white and fold carefully to blend. Sift flour & Bamboo charcoal into the combined egg mixture. Fold carefully to ensure that flour is well combined. Pour in melted butter and fold to combine. 4. Pour batter into the lined square pan. Spread batter evenly. Bake cake in oven at 200C for 10 -12 mins. 5. After baking, remove cake from baking pan and leave to cool completely in parchment paper. Peel off parchment paper. The top face (brown side) will be creamed. 1. Whip fresh cream with sugar until firm. Spread whipped cream on to top face of sponge. 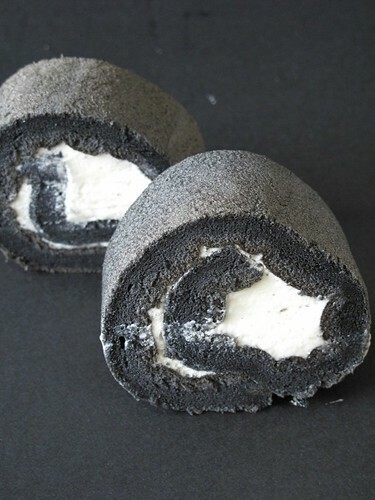 Roll carefully to form swiss roll. Trip edges.